As average children around the world are content with riding on cheap plastic, car battery-powered kiddie rides that somewhat looks like a Land Rover, Stormi Webster, 10-month-old daughter of reality TV star/entrepreneur Kylie Jenner, is rolling on a mini Lamborghini. 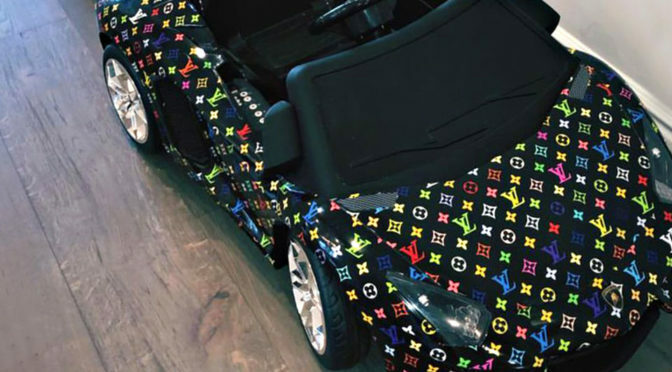 And mind you, it is not just any mini Lamborghini kiddie ride; it is one wrapped in the Louis Vuitton multicolored monogram. Yep. That’s right. Even kiddie ride get wraps too. What a world we live in now, eh? 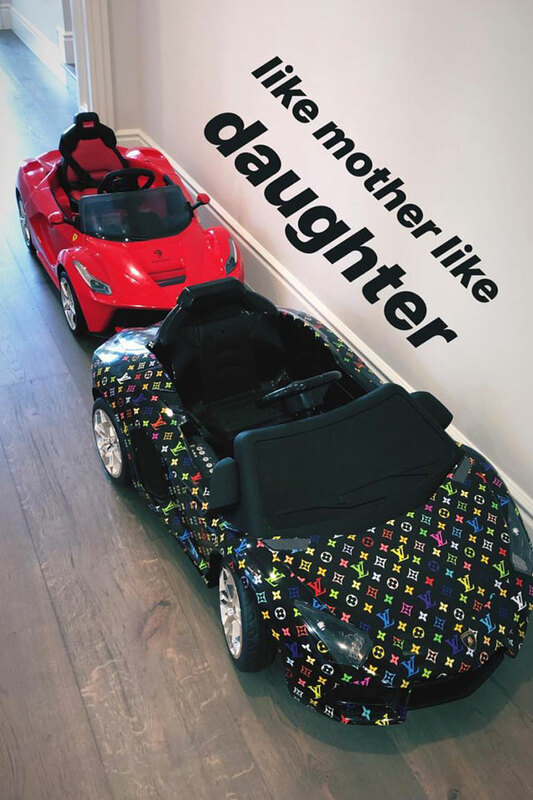 Jenner posted this dope kiddie ride on her Instagram story which was gone by the time we noted it, but thanks to the quick thinking of some Internet folks, the image of two kiddie rides, a Ferrari and a Lamborghini Aventador, with the caption “like mother like daughter” lives on. 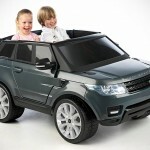 And yes, little Stormi has not one but two mini luxury exotic sport cars, just like her doting mother. But the little one still has a lot of catching up to do cos’, mum Jenner has a lot more luxury rides than these two. Our source noted that the Ferrari costs 400 bucks, while the Lamborghini was $389 (presumably, excluding the custom wrap). However, another source pointed that it could cost as much as $469 on Amazon. 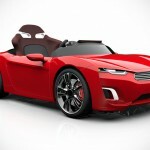 Though it is not clear if Stormi’s mini Lambo was the Mini Moto Lamborghini with the said price tag. If it is, then it should cost even more with the wrap. Well, what can we say? Little Stormi’s one very fortunate child. However, I am guessing Kylie gifting her precious baby mini luxury cars may not be a show of her wealth. IMHO, it could be more for the style factor. 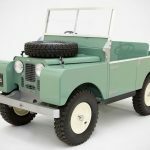 Otherwise, she would have bought Henes Broon Electric Cars for Kids that cost around 800 bucks a unit, or the outlandishly priced Toylander’s 1948 Series 1 Land Rover replica for kids that commands a whopping £4,150 (about US$5,400). So, I am going out on a limb to say, flaunting wealth wasn’t it; it really was to match mommy’s fleet and of course, style. Or perhaps, Kylie have not heard of Henes Broon and Toylander? Anywho, if you down for doing the same for your kids, you can pick up the aforementioned Mini Moto Lamborghini from Amazon for $469 and send it in for a custom wrap. I totally would, but the problem is… I don’t have kids and more importantly, I don’t have the kind of money. If I had both, I would and I would wrap in Cowboy Bebop skin. No doubt about it. No Kidding. 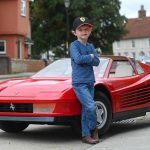 This Restored Testarossa Kiddie Ride Cost As Much As A Porsche!